Coral reefs all around the world are in trouble. In the last 50 years we have already lost approximately 27% of corals globally, and some predictions suggest that we will lose 90% of the all world’s corals by 2050. During the 2016 global mass bleaching event, caused by the El Niño Southern Oscillation, Seychelles lost, on average, 50% of live coral cover, which is a significant and worrying loss. However, it is not all bad news. Efforts are being made all around the world to help coral reefs recover, and here in Petite Anse, Mahé, Seychelles we are giving them our own helping hand. Our Reef Restoration Project aims to restore 10,000 square metres of the house reef of Four Seasons Resort Seychelles by transplanting 16,000 coral fragments. 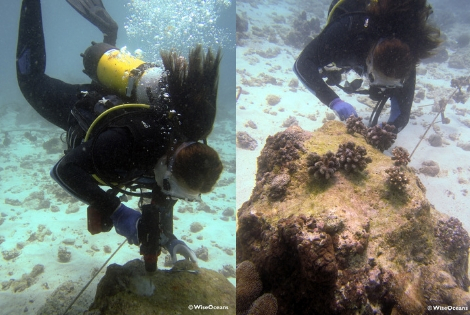 And it is not just marine biologists who can help save our reefs! 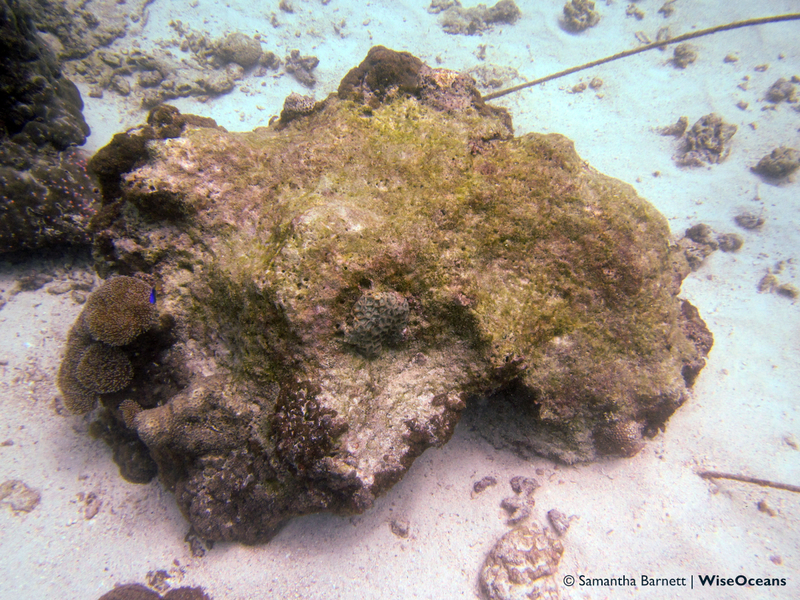 One great way that you can get involved is to sponsor your own area of the reef right here in Seychelles. We offer 1 m2, 2 m2 and 4 m2 plots where can you sponsor 8, 16 or 32 coral fragments respectively. To achieve this, we collect still-living coral fragments from the ocean floor that have broken off naturally from the reef. We attach them to flat metal bars which are then tagged, so we know exactly who has sponsored which coral. The bars are then hung in our coral nursery for around 6 months so the fragments can grow until they have completely attached to the bar. This is when we can transplant them back onto the reef where, over the years, they will completely grow over the metal bar to become a part of the permanent structure of Petite Anse reef. When they are ready to transplant, we locate an area of bare substrate where we can transplant all your sponsored corals onto one plot. We then use an underwater drill to drill a hole into the substrate so we can bolt your corals into place. Your corals are then left to grow and become part of the reef! The corals in the photograph below were transplanted on 21 September 2017. We revisited the site in February 2018 to see how the corals were doing. As you can see from the second photo, the corals are doing well and are showing significant growth. Our website has more information about the project including how to sponsor your very own plot on Petite Anse reef!